Arabica Rose is the name of a new 100% Arabica blend made by Ethiopia, Santos, Guatemala and Colombia coffee launched by ORO Caffè, toasting company from Udine. 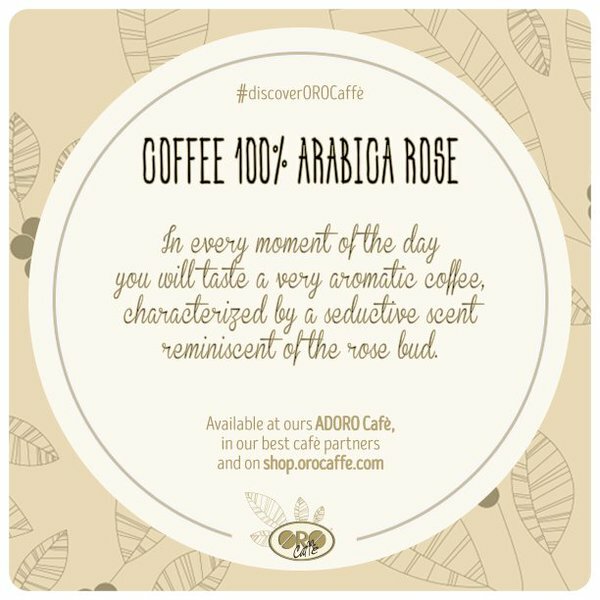 With its round taste and a very intense and aromatic bouquet with scents of flowers, the mix is particularly suitable for espresso, which extracts the best features, but also ideal for low-temperature extraction systems that enhance the persistence of aroma and taste. Ethiopian origin coffee gives fragrance, Santos gives body and softness, Guatemala enriches the aroma and Colombia blends and softens the set. Chiara De Nipoti, board chairwoman of the company said: “The aim of this blend is to create something new and different in the market. Selecting the raw material and finding the perfect and balanced mix between softness, acidity and sweetness in a Arabica were definitely a challenge, but we are very happy with the result, because we were able to create a new taste that remains rich in flavor notes, but not acidic; a typical feature of ORO Caffè blend”.